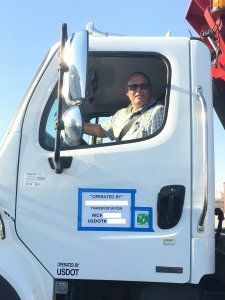 I've been driving company/business/commercial vehicles since 1993, including full-size vans, box vans, step vans, delivery walk-in vans, box trucks, straight trucks, utility trucks, diggers, buckets, school buses, cranes, Isuzu, Hino, Grumman Olson, Utilimaster, Altec, International, Freightliner, Peterbilt, Kenworth, Mack, Bluebird, Thomas, etc. Weight class 6 - 9. Commercial (CDL) Class C and Class B. Endorsements include: air brakes, passenger, school bus, tanker, hazardous materials (hazmat).